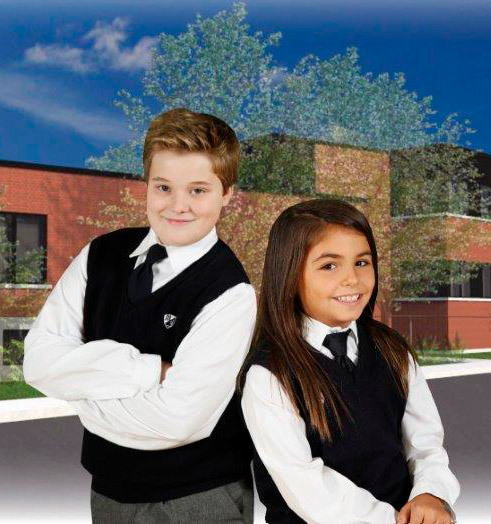 WHY CHOOSE ECOLE MARIE GIBEAU ? L'École Marie Gibeau is known as one of the best schools on the South Shore, with its kindergarten serving as the perfect gateway to our elementary school. This first stage of schooling is of great importance for further education. L'École Marie Gibeau strongly values sports and arts, and offers a program that is enriched with 50% more of English. Homework is completed in class and a student support specialist is available to help your children. L'École Marie Gibeau offers school transportation services depending on your city. Do not hesitate to contact us for details and availabilities. Founded in 1983, our school undertook its 34th academic year in September 2017. Although we have gained precious knowledge and experience over the years, our love for children remains unchanged. An immense amount of pride and joy is felt when witnessing their growth and development. Marie Gibeau is a mixed francophone elementary school that favours the child's emotional, intellectual and physical development. In an environment that is healthy, clean, safe and warm, we look forward to building tomorrow's leaders while ensuring a harmonious transition between preschool and high school. HAPPY CHILDREN MAKE BETTER LEARNERS. Our approach essentially aims to teach your child to nurture healthy sense of worth by providing him/her with a multitude of learning experiences. École Marie Gibeau strongly values sports and arts, and offers a program that is enriched with 50% more of English.